In this article Mark Ford shares some tips on how to generate leads online with a high converting lead capture page. Hello, Mark Ford here, home business lifestyle coach and today I want to cover the topic of lead generation but more specifically how to generate leads online through a simple but powerful lead capture page. Your online business survival relies on a constant flow of leads coming into it and the internet makes it easy to connect with potential prospects from all over the world. There are many internet marketing strategies that you can use to market your lead capture page but this post is about sharing with you some must have ingredients for your lead capture page. The anatomy of your lead capture page should consist of having the ability to connect with an auto-responder service and showcase the benefits and features of your product offer. So with that said I am going to give you a 10 point blueprint to follow so that you can create high converting lead capture pages. Your lead capture page must be able to connect with your auto-responder of choice. This can be done by placing some HTML code that your auto-responder service gives you into your lead capture page template. There are also some lead capture software providers that connect through an API (Application Programming Interface) that will allow you to chose which list you want to use to collect subscribers. If you use this option you will not need to generate any HTML code. Simple Lead Capture is a powerful piece of software that uses API and you can create stunning lead capture pages in just a matter of minutes. To find out more information click the banner below. Either option will allow you to build a data base of subscribers which you can then communicate with on auto-pilot. To encourage people to give you their email address you will need to offer something with high perceived value for free. You can offer a free e-book, video or audio file or maybe even a free business consultation in return for their email address. People have landed on your lead capture page because they are seeking a solution to a problem that they are experiencing. So bear this in mind when you are creating your free offer. Does it target a pain point enough for people to find out more about you and your business. You have just a few seconds to grab someones attention and you do this by having a strong headline. Look at the benefits of your product and incorporate them into your headline. One great tip is to split test your lead capture pages with different headlines to see which ones perform the best. Make sure that you use bullet points to emphasise the benefits of your free offer. 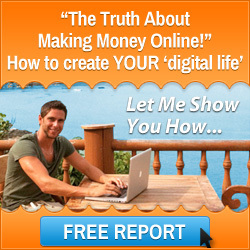 Anyone who visits your page needs to know how it can help them so that it is something that they can’t turn down. Always make sure that your text is well written with no spelling or grammatical mistakes. Ideally your lead capture page needs to look professional and uncluttered. Simple clean designs always work well so bear this in mind. You must know who your offer will appeal to so this must be reflected in you marketing. There are many online platforms that let you laser target your advertisements to make sure only people who are interested will see your ad. How To Generate Leads Online – Differentiate Yourself From The Competition – Be Unique! If you are promoting affiliate offers it is very easy to take the easy option and advertise the lead capture pages that the program provides to it’s affiliates. The trouble with this is that if you do this then you are competing with hundreds or maybe thousands of other people with the same page. What I would do is to come up with your own unique lead capture page to make you stand out from the crowd. What I mean by this is don’t ask for too much information. I have seen lead capture pages that ask for name, address, telephone number, postcode and email address. By doing this it seriously reduces the number of people who subscribe to your lists. My tip would be to just ask for the email address and their name, as it is all that you need. You should always monitor the performance of your lead capture pages. Especially if you are split testing headlines or other elements of your page. There are some great tracking software services available, both free and paid options. 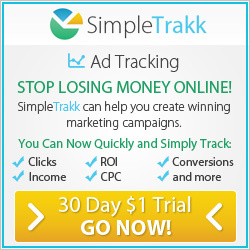 My recommendation would be to take a look at Simple Trakk which is free and it has all the digital marketing tracking features that you will need. 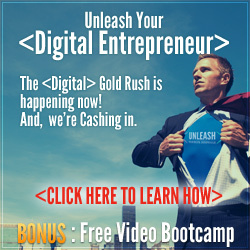 I have shown you how to generate leads online by creating stunning lead capture pages and have introduced you to two great resources. 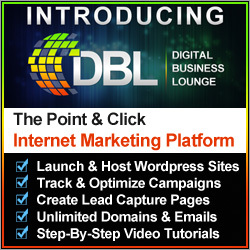 It is time for you to take action and take your lead generation to the next level. This entry was posted in Traffic Generation and tagged how to generate leads online, internet marketing strategies, lead capture software, mark ford. Bookmark the permalink.